Consultancy: As long-established makers and dealers of stringed instruments, we know the market well, and can offer impartial expert advice on selling or purchasing an old instrument, or also for example when purchasing at auction, where we can advise and act as 'agent'. We can also follow through on any purchase and offer packing, and shipping world-wide, including export permits, CITES and Lacey documentation, where needed. For international shipping, we use specialist fine art packers and shippers to do this. Conservation: We can undertake conservation on stringed instruments of all types, plucked or bowed, and have in the past worked on items which now are on permanent display in the collections in the Metropolitan Museum, New York, the Museum of Fine Arts in Boston, the Experience Music Collection (EMP) in Seattle, and other public collections, as well as a number of private collectors, players and dealers, worldwide. Not all instruments are worthy of conservation, but we are happy to advise. We adhere firmly to a policy of preserving the original material as far as is practically possible, using natural glues, varnishes, pigments, as appropriate to the period, and should new material be absolutely necessary we will select this to match while ensuring this conservation is visible, and in keeping with the originality of item concerned. While it is not always possible to make all instruments playable, we can stabilise them at least, and prevent further deterioration, conserving the information they contain for future generations. 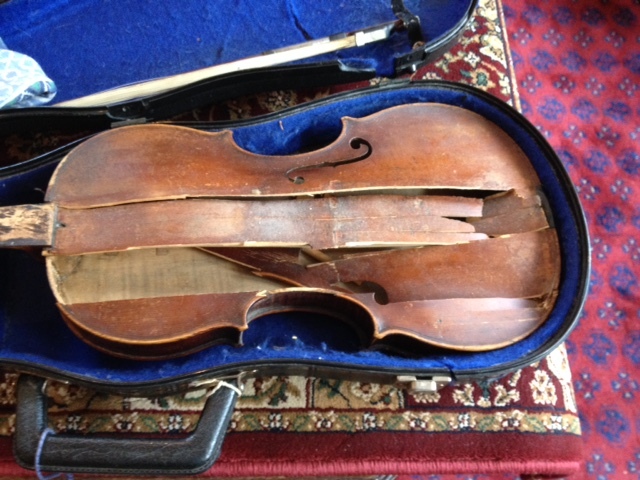 Restoration: Where appropriate we can restore instruments to playing condition. We cannot quote or give advice here on a photograph, we insist on seeing the instrument personally, as many hidden problem usually are present. We log the entire process, both in time taken and a photographic record, which is provided with each instrument. A very good case for restoration. Valuation: We can value your instrument for market price, insurance replacement value, or for deceased estate probate purposes. CITES: New tighter CITES regulations ( Convention on International Trade for Endangered Species) are now in force, as of Jan 2nd 2017, we are happy to advise you on these, and if necessary, advise and apply for permits on your behalf. We can also advise and apply for the Lacey Declaration for the USA, or advise/apply for export permit documentation. CITES: New Regulations. New Cites Regulations, especially pertaining to ALL rosewood species, were introduced in January, 2017, and you can see the full extent by following this link, CITES REGULATIONS with special reference to musical instruments for personal use. See Para 3, 4, and 12, especially, in the Q and A section, but please also check with your own countries' CITES regulatory body, to be sure they agree with the terms, as each country can vary the terms on an individual basis. Please take a look through the website- hopefully you will find some interesting instruments. Not all instruments we stock are listed on the site however- so if you do not find what you want, call and ask- we may well have one, or know where to source, and can assist in tor search. We are always pleased to discuss and advise.